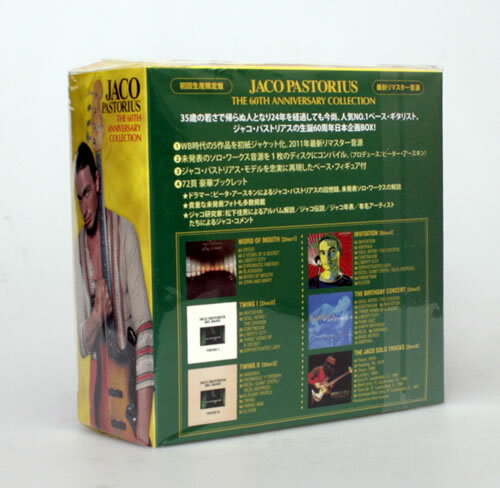 JACO PASTORIUS The 60th Anniversary Collection (2011 Japanese promotional sample issue of the limited edition 6-CD box set, issued to radio stations and reviewers ahead of the actual release. Featuring the remastered five original albums 'Word ofMouth', 'Twins I', 'Twins II', 'Invitation' and 'The Birthday Concert' plus the bonus disc with unreleased tracks compiled by Peter Erskine. 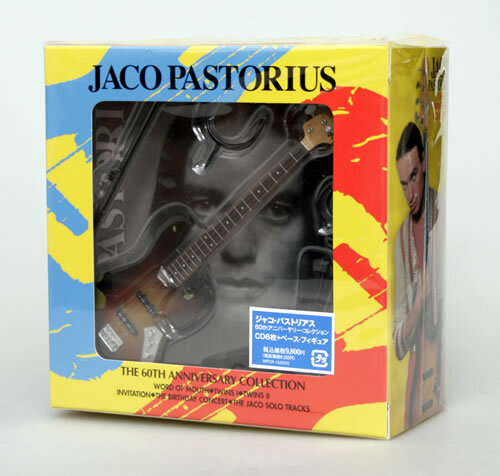 Also comes with a one-eighth scale miniature Jaco Pastorius model bass guitar which is manufacturedand authenticated by Fender USA plus a 72-page booklet with liner notes by Peter Erskine with unreleased photos and more, each album comes in a mini replica LP style gatefold card picture sleeve all housed in a 5�" x 5�" x 2�" promo stickered box WPCR-14200/5).